Phil began his employment with Maltbys in 2005 and became an Associate Director in 2015. Phil has over 30 years industry experience as a professional consultant including 12 years in NZ having originally emigrated to join Maltbys from the UK. Phil is a qualified Member of the New Zealand Institute of Quantity Surveyors (MNZIQS) and is also an Accredited Professional with the Green Building Council since 2008. Phil holds a Bachelor of Science in Quantity Surveying achieved at the University of Central England, Birmingham (UK). 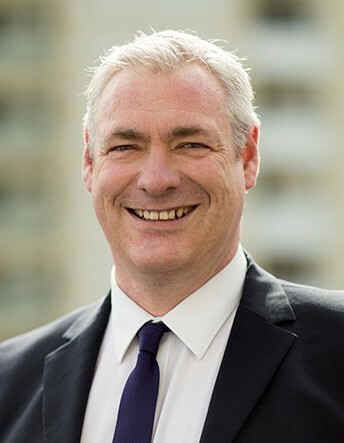 Phil's expertise covers the full range of quantity surveying services, but specializes in Client Representation, Estimating and Cost Planning, Cost Management services, and Development Funding Certification. Phil also plays a significant role in the development and management of IT within the practice and is a member of the NZIQS BIM Committee. Phil has particular experience in the field of weathertightness remediation from a number of projects, including acting as expert witness. Phil has worked on a wide variety of projects both in the UK and New Zealand and more recently within the Leisure, Government, Residential and Commercial sectors. Outside of work, Phil has a busy home life keeping three young boys occupied and has a keen interest in the martial arts.